Desmos armchair is designed by Sotiris Lazou, He designed the Desmos armchair for the Greek manufacturer Varangis. The armchair has a simple design seat with abstract geometric shapes as it’s arm and backrest. Desmos is a functional armchair with imaginative design. The idea for the armrests design came from the scribbles of the designer’s young daughter on a household chair. The backrest and the seat part are laminated bending and some part of the thin sections of wood are glued to a pre-existing curvy organic form. 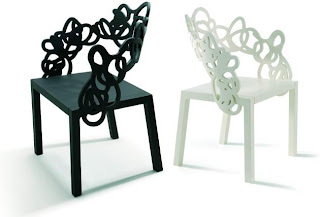 Desmos armchair is definitely a piece of furniture with an artistic touch.